West Auto Diagnostics is the place for Smog Checks, Brake and Lamp Inspections, as well as top notch diagnostics and automotive repair. Trusted by reputable dealers, we also provide a thorough Vehicle Safety Inspection for those looking to purchase a car, truck, or van, for themselves, their business, or a loved one. Whether is it a Transmission problem, A/C or Heating, Brakes, or the unfortunate Failed Smog, our reputable diagnostics, repairs, and fair prices are spreading as far as Orange County. We get the job done right the first time. And at a time when every penny counts, DON'T PAY HIGH DEALER COSTS and hourly diagnostic fees. Whether it takes thirty minutes or four hours, we charge one diagnostic fee. Period. And if we can't diagnose it, there is no charge! 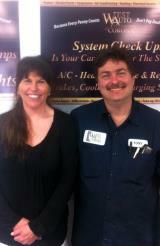 Blessed with an incredible customer base, the name West Auto Diagnostics continues to be spread as more and more happy customers tell their friends and family about us. And to all the families, single moms, grandparents, students, pastors, civil servants and dealerships that have given us the opportunity to work for them, we say "Thank You" for making our automotive repair shop yours. Tony's other half, Norma Blackmon, is a published author. 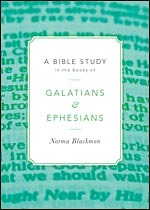 "A Bible Study in the Books of Galatians and Ephesians" gets the reader immediately and directly into God's word.